"We are so glad to be making this investment in our children’s education, as it has not only helped them improve their math skills, it has helped them build the foundation for a lifetime of successful learning." Here’s what our parents are saying…. As a parent, I want my children to have the proper academic tools to succeed in life, and this is exactly what Math Altitude has provided for my children. Math Altitude has helped my children become confident learners, able to work on their math problems independently while implementing great problem solving strategies. The small classroom sizes enhance the learning experience; individual time is available for students who need extra help with homework. Math Altitude fieldtrips and outings are a great outlet to enhance the social and interactive skills of students. Parents have the opportunity to grow and learn from the staff and from the numerous speakers and professionals that are invited to present innovative academic topics. We are fortunate to have such a great community resource in Central Mass. MathAltitude has not only helped our children improve their math skills, it has helped them build the foundation for a lifetime of successful learning. We are so glad to be making this investment in our children’s education! Since she began MathAltitude, my 5th grade daughter has acquired a profound interest in math. She is very positive about math homework and has advanced significantly because of her teacher, Ms. Dina. Ms. Dina's patient and skilled methods keep my daughter challenged with constant encouragement. My daughter also joined the Math Club which has expanded her comprehension and has made math "cool" to learn. As a result, Anastasia has earned high scores on the MCAS and public school math tests. Sparking math enthusiasm is evident throughout the Math Altitude staff. Their goal is that children should enjoy learning math at any level. Our school invited the Math Altitude staff to our STEAM festival and they brought the most creative and fun games which immediately engaged the kids. Adults enjoyed the challenges as well. I highly recommend Math Altitude for children of all skill levels to get a fun and comprehensive math learning experience. Three years ago, a friend told me about MathAltitude. That very same week after researching the program, I registered my son. My son was very good at math, but for the first month he had a very hard time keeping up at MathAltitude. With the teacher's dedication and persistence, today my son is a different student. He loves to learn new things and has a passion for math. I am very thankful that my son has this wonderful opportunity for learning. MathAltitude has been the best investment that I could have made in my son's life. Thank you to the amazing teachers and director for dedicating your time to my son's education. My daughter is a good student, but not a math whiz. She tried two math tutoring schools prior to MathAltitude. She did not like the way those schools taught her to memorize facts rather than understand math concepts. In the summer of 2013 I met a parent of two MathAltitude students who strongly recommended MathAltitude to me. At the time my daughter was entering 9th grade and I asked her to give it a try. She began with summer classes and liked it, so she continued. She liked the way MathAltitude taught her to understand math. The teachers, Olga, Nathan, and Boris have been kind and supportive. My daughter has taken classes all four years of high school and is now heading to a prestigious university. MathAltitude has definitely contributed to her academic success. The knowledge she has gained has boosted her confidence. She told me she wishes she had known about MathAltitude when she was younger for she would have had solid math fundamentals starting at a younger age. I have told every parent who is looking for a math tutoring school to try MathAltitude. It is a wonderful investment in your child's future. The younger he/she starts, the better! I always wanted to give some extra support to my kids with their studies, but it was very hard to find time with a full time job. Math Altitude has given me the peace of mind that my kids are getting the support they need. With small class sizes, my kids get all the attention they require. I am so thankful to Ms. Olga and her incredible staff for the wonderful job they do. Thanks Olga. I feel Avi is very lucky to have teachers like you, Luba, and Nathan. Your whole team is constantly motivating and inspiring students! GO Math Altitude!! Math Altitude is not just a school; it is a community. Movie nights, annual hikes, art contests, and many other extracurricular activities encourage camaraderie among students. Free homework sessions, national math competitions, free preparatory workshops for kids, math clubs, computer classes, and essay writing complement the math curriculum. There are so many options I really could be dropping my kids off every day. My children's grades and confidence have soared since they began learning at MathAltitude. As a parent I want my children to have the proper academic tools to succeed in life, and this is exactly what MathAltitude has provided for my children. MathAltitude has helped my children become confident learners, able to work on their math problems independently while implementing great problem solving strategies. The small class sizes enhance the learning experience; individual time is available for students who need extra help with homework. MathAltitude fieldtrips and outings are a great outlet to enhance the social and interactive skills of students. Parents have the opportunity to grow and learn from the staff and from the numerous speakers and professionals that are invited to present innovative academic topics. We are fortunate to have such a great community resource in Central Mass. 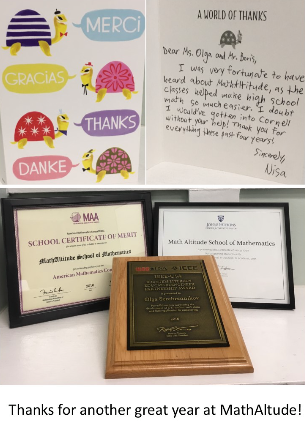 MathAltitude has not only helped our children improve their math skills, it has helped them build the foundation for a lifetime of successful learning. Three years ago a friend told me about MathAltitude. My son was very good at math, but for the first month he had a hard time keeping up at MathAltitude. With the teacher's dedication and persistence, today my son is a very different student. He loves to learn new things and has a passion for math. I am very thankful that my son has this wonderful opportunity for learning. MathAltitude has been the best investment that I could have made in my son's life. Thank you to the amazing teachers and director for dedicating your time to my son's education. I have three children that attend MathAltitude and we couldn't be happier with the classes and teachers. My children's grades and confidence have soared since they began learning at MathAltitude. MathAltitude is not just a school; it is a community. Movie nights, annual hikes, art contests, and enriching extracurricular activities encourage camaraderie among students. Free homework sessions, national math competitions, free preparatory workshops for kids, math clubs, computer classes, and essay writing complement the math curriculum. There are so many options, I could be dropping my kids off every day! I always wanted to give some extra support to my kids with their studies, but it was very hard to find time with a full time job. MathAltitude has given me the peace of mind that my kids are getting the support they need. With small class sizes, my kids get all the attention they require. I am so thankful to Ms. Olga and her incredible staff for the wonderful job they do. My daughter is a good student, but not a math whiz. She tried two math tutoring school prior to attending MathAltitude. She did not like the way those schools taught her to memorize facts rather than understand math concepts. My daughter liked the way MathAltitude taught her to understand math. The teachers, Olga, Nathan, and Boris have been kind and supportive. My daughter has taken classes all four years of high school and is now heading to a prestigious university. MathAltitude has definitely contributed to her academic success. The knowledge she has gained has boosted her confidence. She told me she wishes she had known about MathAltitude when she was younger, for she would have had solid math fundamentals starting at a younger age. I have told every parent who is looking for a math tutoring school to try MathAltitude. It is a wonderful investment in your child's future. The younger he/she starts, the better! 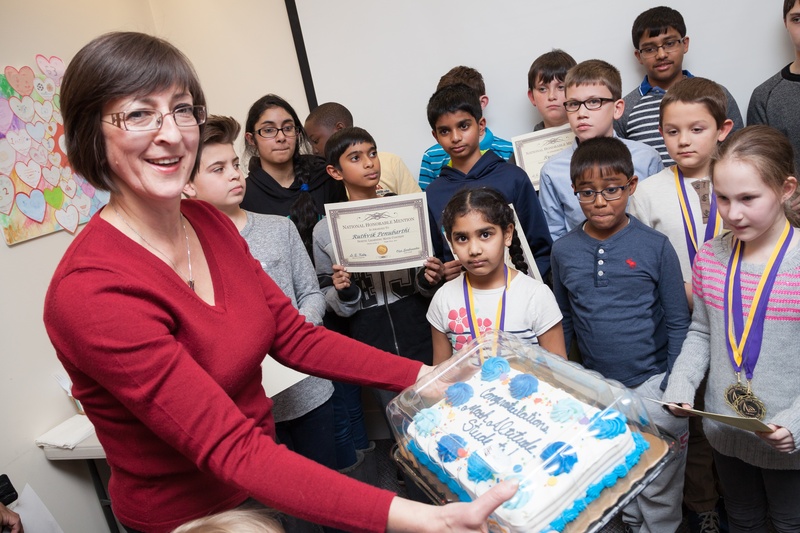 Olga, you are a wonderful, gifted teacher –you make math fun for the kids. I’m so thankful we found out about your school! 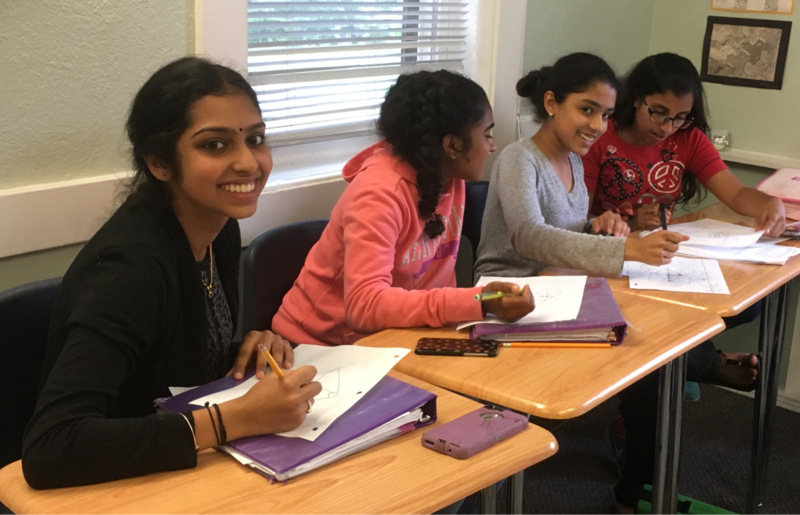 5 Stars - If you are looking for enrichment in math, then MathAltitude is the place to come. Problems are explained to children in a way they really understand. Both of my children enjoy coming to their math classes, and I can tell they really understand what they are being taught. I highly recommend MathAltitude. When it was time to sign up for this SAT my son said, “I want to see if the workshops help to improve my score.” Well, they most definitely did! MathAltitude provides a good opportunity for kids of all age groups to enrich their math skills, in addition to what they normally get from schools. They are reasonable and flexible in accommodating to parents’ and students’ schedules. I have to say that the help my daughter has received from MathAltitude is thorough, profound, and comprehensive.